LAS VEGAS – Las Vegas Lights FC got its new era under Head Coach Eric Wynalda underway in impressive style as it posted a 5-1 victory against Major League Soccer’s Toronto FC in front of a crowd of 5,232 at Cashman Field on Saturday afternoon. Lights FC took the lead seven minutes before halftime when Alex Harlley read a backpass by Toronto defender Laurent Ciman to goalkeeper Alex Bono and won a 50-50 challenge for the ball, allowing him to finish into an open net. Four minutes later off a quick counterattack a long ball upfield sent Irvin Parra into space, and the former Orange County SC forward did enough to get past a trailing defender before finishing past Bono. Toronto pulled a goal back in the 64th minute through Ryan Telfer, but three minutes later Edwin Rivas scored the first of two goals on the game as a clever flick played him into the left channel for a low finish from 12 yards into the bottom-right corner. Las Vegas again took advantage of a defensive error with four minutes to go as Bryan Arguez placed home a finish from 15 yards into the bottom-left corner, and Rivas capped the display with a diving header in stoppage time for his second of the contest. 5,232 of you watched this LIVE at Cashman Field .... everyone else, well you guys missed out!! - @EricWynalda: "A lot of people will see this on @Twitter and say 'WHAT? 5-1?'. 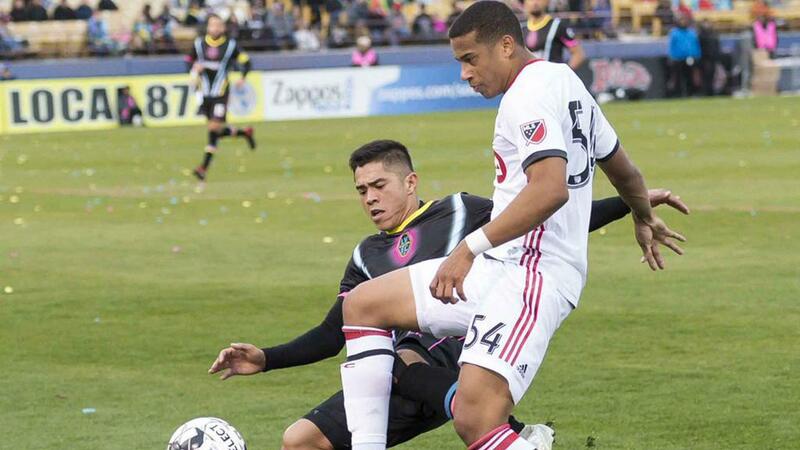 We'll see what the reaction is, but I wouldn't miss that game against @ColoradoRapids"